Our family was heartbroken when Sophie was diagnosed with kidney failure. The 10-year-old cocker spaniel had been our constant companion and a loyal friend, and it was painful to watch her suffer. After my wife and I made the difficult decision to have Sophie euthanized, we weren't sure what to do next. Should we bury her or have her cremated? Our 8-year-old son wanted to have a funeral for her. We were overwhelmed with decisions. Even after we found out that Sophie was sick, we really hadn't planned for Sophie's aftercare. Making choices about what to do with your pet's body ahead of time can take some of the stress out of a difficult time. 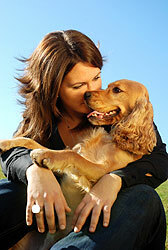 The guide below offers some basic information on some of the most common pet aftercare choices. Cremation is the most popular choice for pet owners. Some pet owners take comfort in keeping their pet's ashes, or cremains, as a remembrance. Cremation offers grieving pet owners a little more flexibility than burial: Cremains returned to owners can be kept in decorative pet urns, worn in pet cremation jewelry, or scattered in a favorite location. Most pet crematoriums offer two basic types of cremation services: communal and private. In a communal cremation, your pet's body is cremated with other pets; this option is usually the least expensive, but your pet's ashes are not returned to you. In a private cremation, your pet is cremated individually, and the ashes are returned to you in an urn. Many pet owners take comfort in burying their beloved companions. This option allows you and your family to “visit” your deceased pet, and some people feel a sense of closure after the burial. 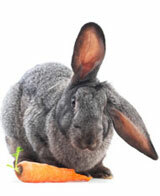 You may choose to bury your deceased pet in your backyard or somewhere else on your property. It can be reassuring to know that your pet's body is close to you. Before you bury your pet on residential property, check with your local government to make sure that you are not violating any restrictions. As an alternative to a home burial, a pet cemetery gives grieving pet owners a peaceful, quiet place to lay their companions to rest. Pet cemeteries often offer pet caskets, headstones, or funeral services to further commemorate the life of a beloved pet. When choosing a pet cemetery, it's a good idea to make sure that it is located on dedicated land – a pet cemetery on dedicated land will never be used for another purpose. For some pet owners, a memorial service is a meaningful way to find closure after the death of a beloved family pet. Whether your pet is buried or cremated, holding a memorial service can be a helpful step in the grieving process and a way for the family to say their final goodbyes. A pet memorial service can be personal and informal, or it can be organized and arranged with the help of a pet funeral home. If a memorial service isn't your style, there are hundreds of other ways to memorialize your beloved pet. You can start a photo album or scrapbook dedicated to your pet's memory, or you can plant flowers or a tree in your pet's name – even a small gesture like putting your pet's tag on your key chain is a loving reminder of your faithful friend. Memorial products like jewelry, pet urns, pet grave markers, or pet garden memorials can also help keep your lost pet's memory alive. We eventually decided to have Sophie cremated; we purchased a beautiful pet keepsake urn for her ashes. Our son made a photo album of his favorite pictures of Sophie, and we planted a tree in the backyard in her memory. Sophie may be gone, but her memory is still with us.